The Great Divide voucher codes - discount up to 60% with april 2019 offers! Are you a discerning gentleman that always likes to look sharp and stylish? Or perhaps you're shopping for the dapper man in your life? Whatever you're looking for, a The Great Divide discount code is a great way to make fantastic savings on a wide range of quality menswear. From comfortable jeans and smart jackets to cool men's lifestyle accessories, a The Great Divide voucher code will save you money while you shop. The Great Divide was born out of a desire to create a one-stop online store where discerning gentlemen could shop for quality menswear and accessories. A carefully curated online boutique, The Great Divide stocks a wide portfolio of products collated with the style-savvy modern man in mind. At The Great Divide they are passionate about art, culture and quality, and this shows in their clothing. 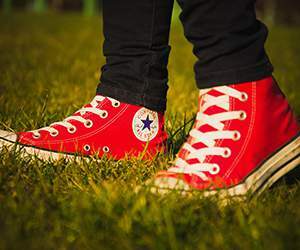 Each product in their stock is carefully selected to help their customers create a unique and stylish look that will help them stand out in a crowd. To this end, the team at The Great Divide have put together a collection that combines established fashion names with up-and-coming brands to offer something new and fresh every time. Customers at The Great Divide's comprehensive online store can browse a fantastic range of products from top labels like Armor-Lux, Arpenteur, Asics, Baracuta, Bass Weejuns, Carhartt, Champion, Ebbets Field Flannels, Edwin, Elka, Folk, Fidelity, Filson, Gant Rugger, Gitman Vintage, Lee 101, Levi's Vintage Clothing, Our Legacy, Penfield, Porter, Red Wing, Reigning Champ, Sandqvist, Saucony, Soulland, Todd Snyder + Champion, Vans, Wigwam, YMC, Yuketan and may more. Products are available to search by category or by brand – so it's easy to track down exactly what you're looking for. As well as a wide selection of men's clothing, The Great Divide also stocks a range of essential accessories such as wallets, ties, belts and more. Or why not check out the fantastic 'man drawer' section of the site – home to nick nacks and lifestyle accessories designed to help customers be discerning and stylish in all areas of their life. From bespoke shaving accessories for the perfect cut to travel journals, quirky books and decor for the home, The Great Divide has something to suit every budget and taste. Want to get shopping with The Great Divide? 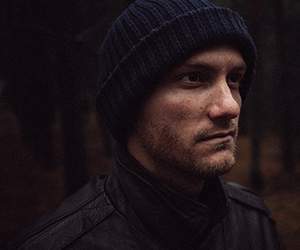 With a The Great Divide discount code you can enjoy big savings on their wide range of men's clothing and accessories. So whether you're putting together a whole new wardrobe from scratch or just looking to upgrade a few key items, a The Great Divide voucher code will have you looking your best without breaking the bank. Range of bespoke lifestyle accessories. Browse our website until you find a The Great Divide discount code that suits you, then navigate to their website to begin shopping. Enter your details and click 'Continue to next step'. Enter your The Great Divide voucher code in the box provided and click 'Apply'. If you've enjoyed shopping at The Great Divide, you might also like to check out more great deals on menswear and more at stores like Topman or TK Maxx. Or, if those aren't right for you, you'll find plenty more deals to browse in our Fashion, Accessories and Jewellery section. Enter your The Great Divide discount code in the box provided and click 'Apply'. Enter your payment details and click 'Complete my purchase'. Standard UK delivery is free on all orders over £50. For orders below £50, a delivery charge of £3.50 applies. If you need to return a product for any reason to The Great Divide, you can do so by simply returning your items in their original condition within 14 days of purchase. Need to speak to the team at The Great Divide? Whether you have a question about your order, want to know more about the brands in stock or simply want to find out how you could make amazing savings with a The Great Divide voucher code, you can contact the Customer Services department by telephoning 0203 371 9933. Want to discover more from The Great Divide? The company maintains a profile across all your favourite social media networks. Follow them for access to lots of exclusive content including industry news, promotions, competitions, fashion articles and much more. You can also use these pages to find out more about saving money with a The Great Divide discount code. Don’t forget to check them regularly, as you can never be sure when a free The Great Divide voucher code might be waiting for you! Buy now online at www.http://thegreat-divide.com. My husband loves to look stylish, but he hates trawling the high street for clothes. That's why he was delighted when I showed him The Great Divide discount code I found online. 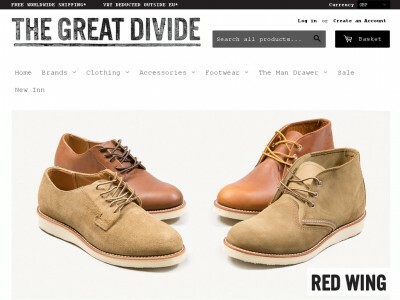 With a The Great Divide voucher code you can enjoy great savings on a wide range of menswear and accessories at thegreat-divide.com. We used our The Great Divide discount code to get a fantastic deal on some new jeans – and saved enough to treat the other half to a new wallet too. So why not see what you could save with a The Great Divide voucher code?